Facebook privacy? 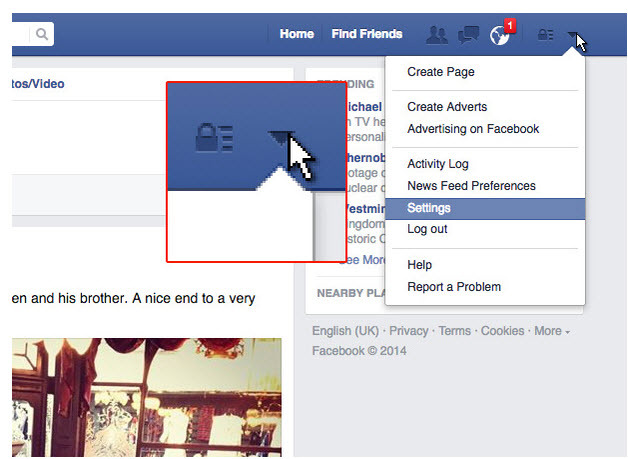 Simple & Tiny Tricks to Securing your FB Privacy. Oftentimes, it happens that you desire to share something with your family and friends on Facebook, but you drop the idea fearing that your colleagues may find it. Sometimes, you share something and you feel discomfort to get the comments or ‘likes’ from the Facebook friends you do not expect. You feel that your privacy is being invaded. Many Facebook users do not whether there is any way to maintain the facebook privacy. Is it possible to allow only the friends or people you like? Since the inception of Facebook, the experts have constantly strived to maintain the Facebook privacy of users and have devised several ways to do so. 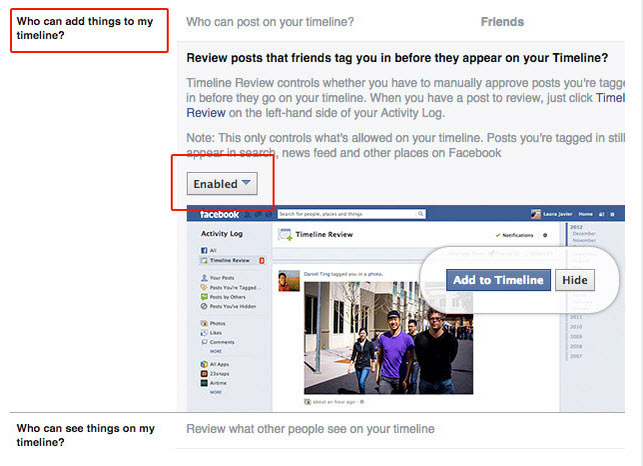 However, not all the users may be well familiar with the privacy features available in the Facebook. From time to time, Facebook has made commendable efforts to educate and inform the Facebook users to maintain the privacy. 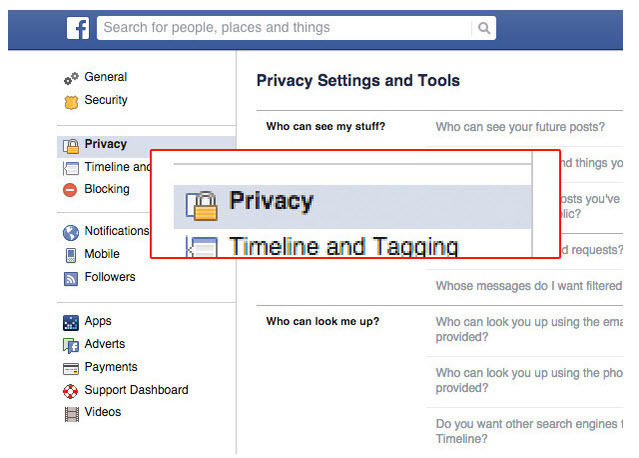 The ‘Privacy Basics’ is one such praiseworthy effort of Facebook. In the form of an interactive guide, it enhances the user experience by guiding them in a step by step manner to secure their privacy. Controlling the information, messages or data on Facebook is of vital significance, and the Privacy Basics is a suitable tutorial for the Facebook users to maintain the privacy of the data. So, if you have not yet learnt about how to secure your privacy; it is time that you become aware of the tiny tricks and use these Facebook features in a meticulous manner. The steps to maintain your privacy are quite simple. You do not need to invest a lot of time. After signing in to your Facebook account, you may go to the ‘Settings’ section. On clicking the ‘Privacy’ section; a number of options will appear before you. Here, you will have the facility to decide – who can see your stuff, who can contact you, and who can look you up. Likewise, ‘Timeline and Tagging’ section allows you to decide who can see and add things on your timeline. Also, you can decide how to manage tags. The ‘Blocking’ section further can help you to block the unwanted infiltrators. Here you can renew the ‘Restricted List’. By adding the name or email in the given space, you can block the users. Also, you can block the app invites, event invites, and block apps and pages. 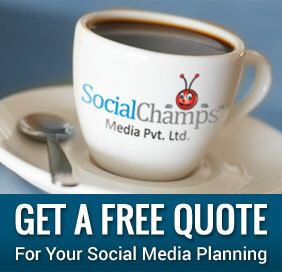 Truly speaking, you can customize the Facebook features as per your desire and convenience. However, if you are not well familiar with these tiny tricks, you need to invest some time and educate yourself. If you find your Facebook page overcrowded with useless and unwanted ads, you have the tool to control them. On the basis of your preferences, you can allow only the kind of ads you think are useful for you. Maintaining the privacy and the security of the data is very significant, and Facebook offers you several lavish features for the purpose. And, if you learn using these features or techniques, you can surely escalate and enrich the experience of using the Facebook.